Experience suggests that when developing the research questions it is very beneficial to also diagram the problem or topic. 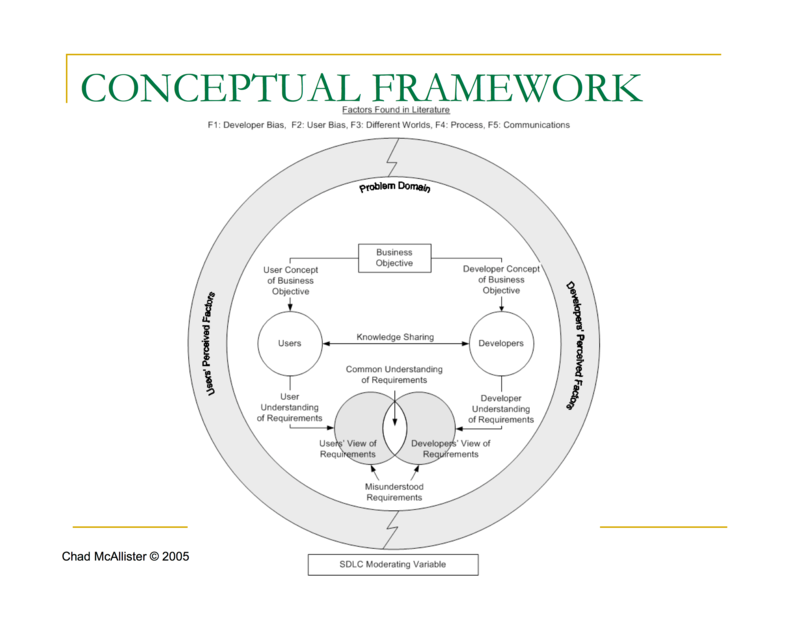 This is often called a conceptual or theoretical framework. According to Miles and Huberman (1994), “A conceptual framework explains, either graphically or in narrative form [both are much preferred], the main things to be studied – the key factors, constructs or variables – and the presumed relationships among them” (p. 18). A diagram of the topic is literally worth more than 10,000 words. The task here is to create a diagram of the topic that includes clearly defined constructs or variables (independent, dependent, etc.) along with the relationships of those constructs and key factors that influence the constructs and the relationships. I begin with the big blocks – the independent and dependent constructs or variables. Then I work on adding the relationships (arrows). Once the main “pieces” are in place I add in the other variables such as mediating and moderating (as appropriate) and additional context factors. I develop the “landscape” of ALL the key constructs and relationships. Then I refine it to focus on the key aspects that I will include in the study. If the constructs are measurable variables, I transition to a theoretical framework that will guide the quantitative measurement and analysis. 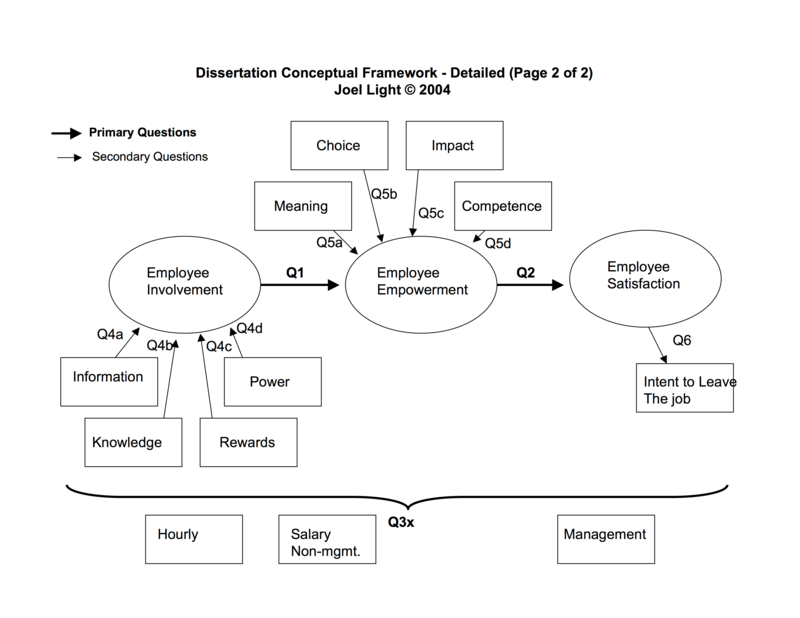 This task is often done in conjunction with the development of the research questions and it is an iterative process. Which factors do users and developers believe cause misunderstandings about the requirements for information systems? What is the difference between users’ and developers’ perceptions of these factors? How does the level of employee involvement affect the level of employee empowerment? How does the level of employee empowerment affect the level of employee satisfaction? How does job-type—hourly, salary non-management, engineers, and managers—affect the respective components or employee involvement, employee empowerment, and employee satisfaction? Identify and graphically depict the key variables in the research questions. Identify and graphically depict the key relationships between the variables. Identify and graphically depict the key context factors. 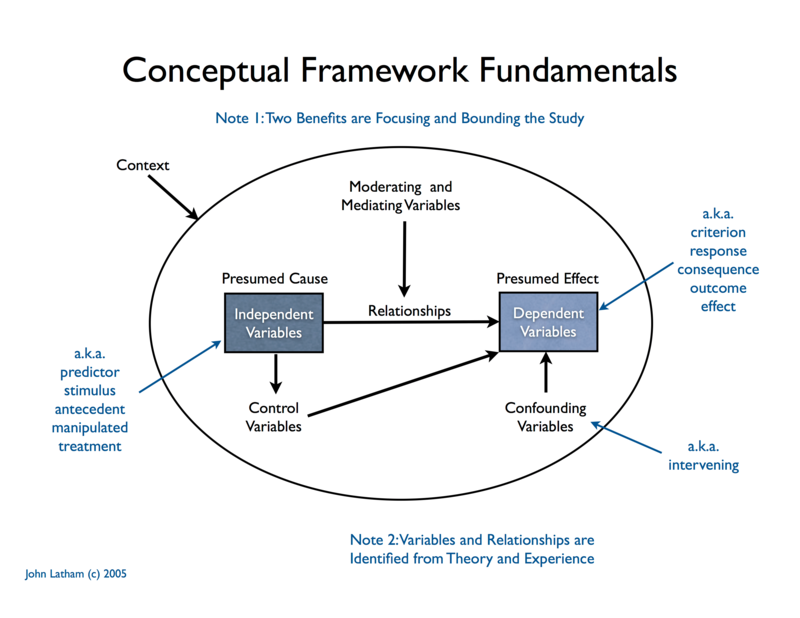 All the components of the research methodology should be consistent with the variables, relationships, context, and so forth identified in the conceptual framework. Anytime you make a change to the conceptual framework all other components should be reviewed and revised as necessary to maintain an internally congruent design. In addition, any time you make changes to the other components of the methodology you should revisit the conceptual framework to ensure it is consistent and congruent. Miles, M. B. & Huberman, A. M. (1994). Qualitative data analysis: An expanded sourcebook (2nd ed.). Thousand Oaks: Sage.